Beneath Etsy’s glitter-soaked, hand-stitched paisley exterior lies some of the weirdest, darkest wares the internet can offer. 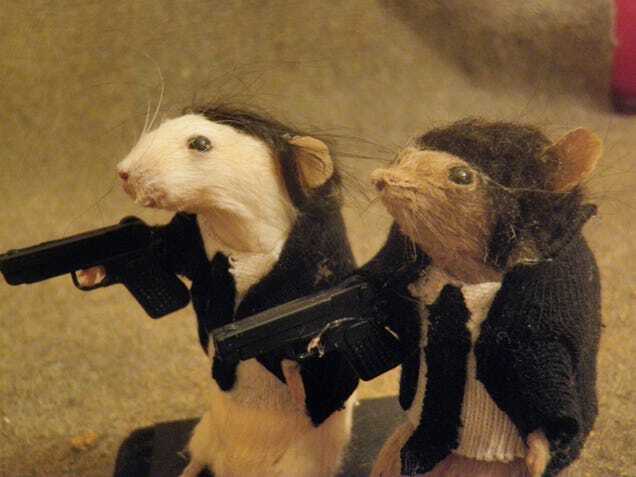 And in one of thee seedy offshoots, you will find some of the world’s biggest pop culture icons in the form of amateur, taxidermied mice. And people love the hell out of them. 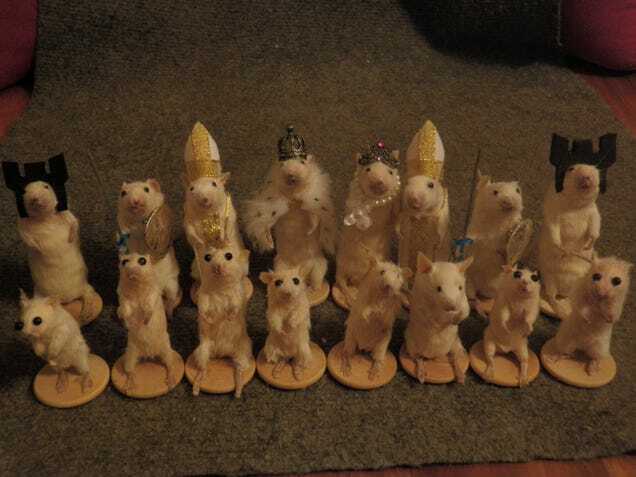 All the mice you’ll see below were born of the hands of The Curious 13 on Etsy, a seller specialising in “delightfully deceased taxidermy.” And the only thing more incredible than the store’s sheer existence is it’s unyieldingly loyal customer base. The reviews are positively glowing—but of course, you can see why. I opened the box and laughed out loud. Adorable! Thanks!!! Very pleasantly surprised! This little guy is is even better in person. Every little toe and his tail is perfect. 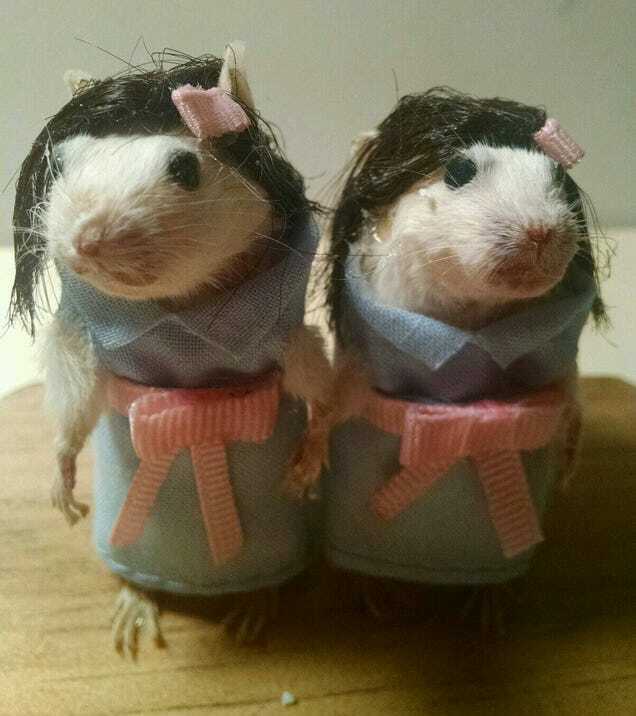 These mice are by far the most hysterical critters in my collection! I crack up every time I see them. 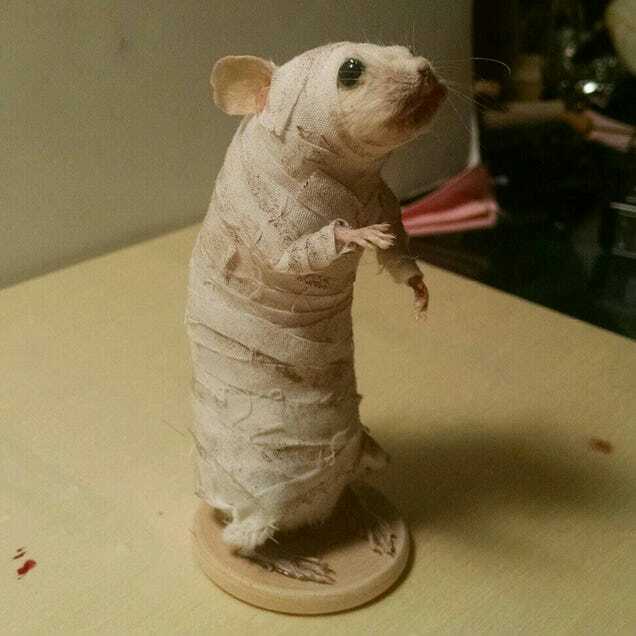 What a perverse and clever idea for taxidermy. Let’s hear that one more time. 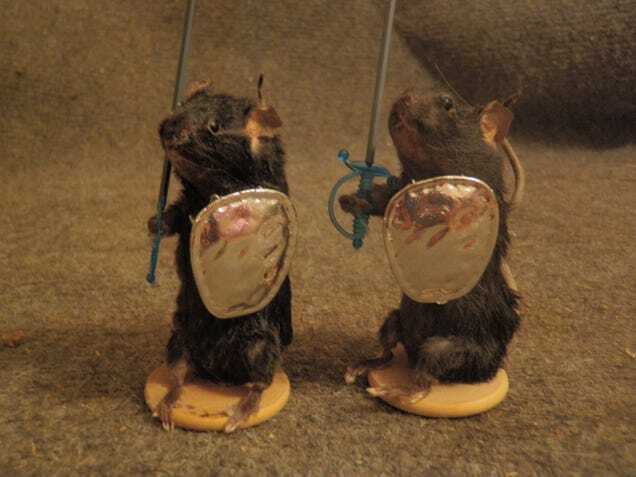 These mice are by far the most hysterical in my collection. How can you not love this?!!?!?! My boyfriend couldn’t stop smiling when he got it! A perfect Christmas present! I bought this for my wife as a gift and it did not disappoint! Mrs. Charper010 is a lucky, lucky woman. Extremely happy with my customised taxidermy! I had her dress a mouse up as an OC as a present for my boyfriend. Seller listened to what I wanted and really delivered! I ordered last minute over the holidays, but the seller was very quick. And if pop culture is a bit too vacuous for you, there is, of course, the full chess set. This way, everyone’s a winner. Everyone except the mice. Don’t see quite the right mouse for you? Never fear. 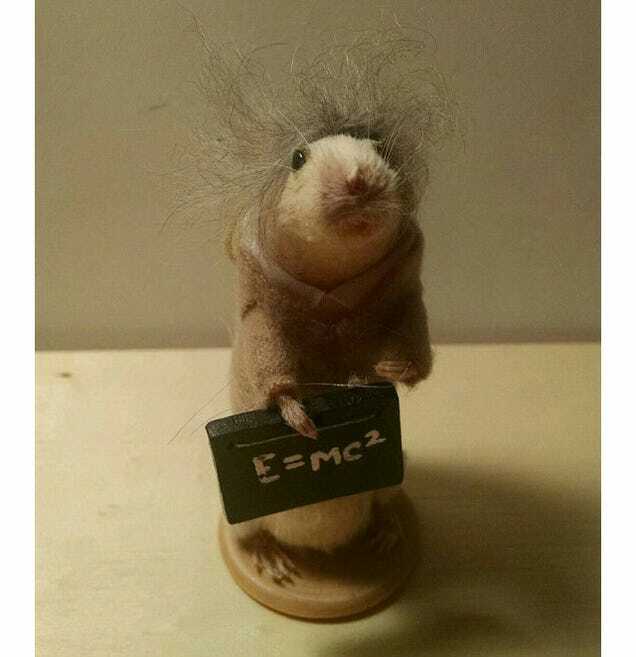 The seller promises that she “can make your custom mouse look like anyone. 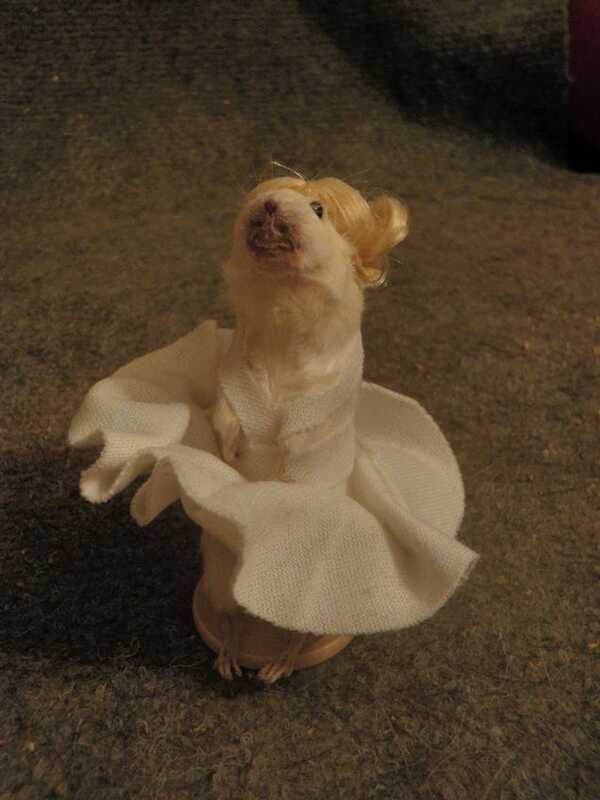 Wouldn’t your mum look great as a mouse!” Why yes. Yes she would. It's a shame we didn't know about these before Mothers' Day.